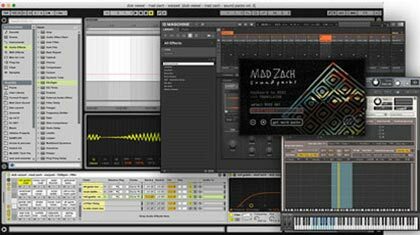 What's inside a Mad Zach Sound Pack? At their core, these packs were designed to be amazingly fun. Get lost for endless hours in the musical world of the packs, without having to program a thing. Each pack holds a complete song idea, but is also open to interpretation, so really it’s more like a song world. Tempo can bend, sounds shifted. You won’t be able to pull yourself away. Each pack in the new volume also comes with a video lesson built into the Ableton project. Watch an overhead shot of Mad Zach’s hands playing, and loop different sections as he works through a range of unique beats with each pack. Slow down the master tempo and the video/audio/leds will slow down too, which makes learning to finger drum way easier ...and if you have an LED equipped midi controller, the midi clips will even light up your controller to show you when to play what! 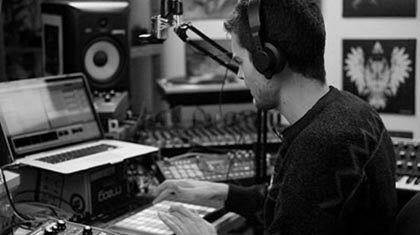 Download the Ableton Trial here and you'll be able to play sound packs forever, even once the trial ends. The newest volume represents a new echelon of audio quality and character. Designed using a vast range of high quality analog equipment and outboard gear, these are not your average samples… they were crafted over years of “going deep” in the Mad Lab, and you can hear the attention to detail in every sound. You’ll find nothing but rich tone, warmth, punch, depth and character. 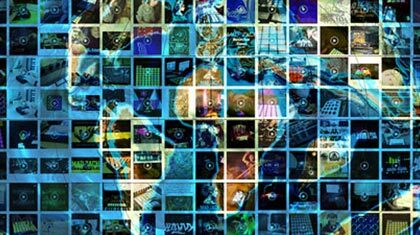 The sounds range from drums, basses, synths, atmospheres, risers, effects, and beyond. Volume 5 contains over 350 uniquely crafted one-shots to inspire, and fuel great ideas. 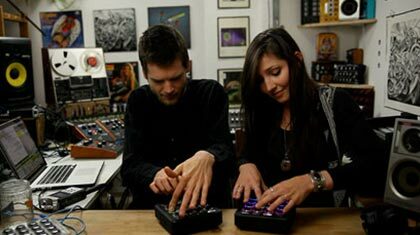 No MIDI controller? No problem! Inside Volume 5 you’ll find an application called “QWERTY Drummer” (Mac-only) which allows you to play the sound packs on your computer keyboard (using any version Ableton Live). No software? No problem! Download an Ableton trial and you'll be able to play the packs forever, even after the trial ends. Zach designed the QWERTY drummer to make finger drumming ergonomic and fun for those who don't have a midi controller! What can you do with a Mad Zach Sound Pack? We've made sure each pack in the new volume works perfectly with Ableton, Maschine, and Kontakt... but even if you don’t have music software already, you can download the free Ableton Trial version and load the packs with confidence, for endless jamming. Of course, the sound packs are a blast by yourself, but grab a neighbor/friend/specialfriend/relative or two and just see what happens. Music was meant to be played together! Our favorite way to jam is to put one person on drums and another on bass/fx. Or of course with a rapper, or a scratch dj, or saxophonist, etc. We’ve even seen a few 4 person 1 launchpad jams which blew us away. And with 15 fully loaded packs in volume 5 alone, the fun just won’t stop. Each of the packs are labeled by key/tempo, and with 500mb of high quality sounds, it’s a breeze to mix and match the sounds to create your own remix packs. Grab a bass from one, a drum from another, start ripping. Its also great fun to throw the one-shots in their own samplers and turn them into instruments! 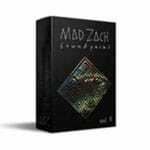 When you play a Mad Zach Sound Pack, you’ll be joining a global community of sound pack players, musicians, sound designers, and producers. 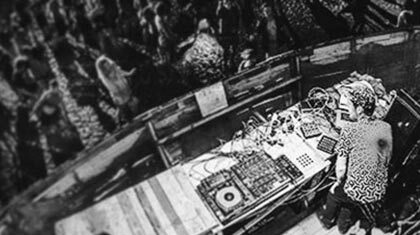 Help plot the course of the future of electronic music performance. In Vol 5, each pack has a video lesson built into the Ableton project. Watch an overhead shot of Zach’s hands playing, loop sections, slow down the master tempo and the video/audio/LEDs will slow down too, which makes learning to finger drum way easier. 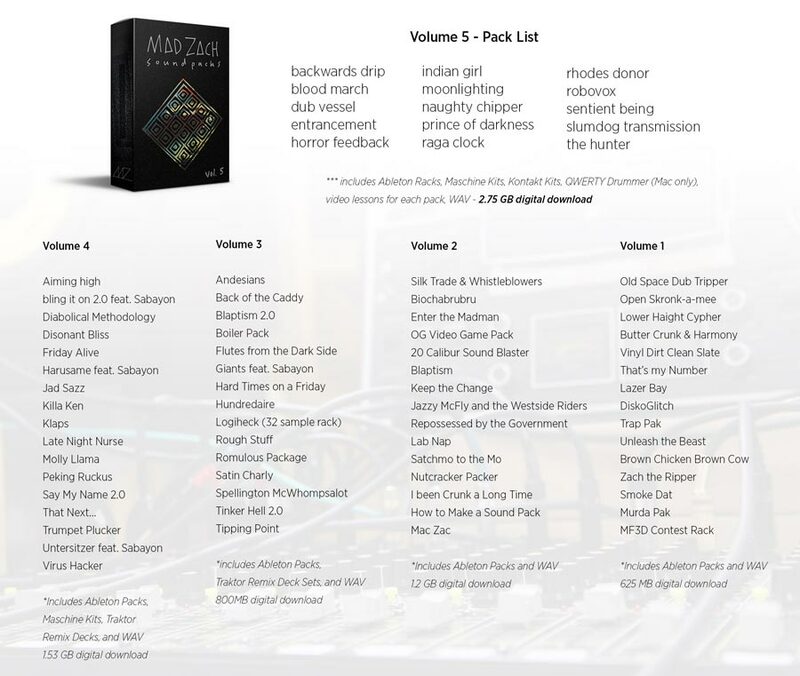 Each pack in the new volume works with Ableton, Maschine, and Kontakt. Don’t have these? Download the free Ableton Live trial and you'll be able to keep jamming on soundpacks even after the trial ends! 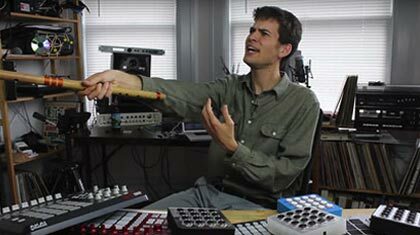 "There's absolutely nothing u wouldn't like about Mad Zach and this tutorial. The tunes are eargasmic and his approach to finger drumming is unique. " In Volume 5, two packs ("prince of darkness" and "sentient being") contain a M4L device "Envelope." However, M4L is not required to use them, just delete the device. "love the new content. playful in a different way than previous ones." "Awesome content on this new volume. Loving the tutorial videos as well!" "Mad Zach delivers. Great sound packs and easy to use/modify!" "These are some of the funnest packs out there"
"Very nice sound packs. I bought all of them and it was just amazing to use it. Just close your eyes and buy it, you'll not be disappointed." "The video s not what it says actually mad method pack is not available only on this site to check it out !!!!!! how do i get the link to that ???" "Mad Zach sound pack's are good for what ails ya. it's stays crunchy even in milk!" "Very helpful for tutorials (side by side)"
Legal: Anything you make with the soundpack sounds is considered a remix since it's a part of an original tune he made. That includes instruments. If you use the soundpacks you must credit the creator and you cannot sell anything with it or redistribute them.